In case you weren’t aware, this morning Apple unveiled its latest devices, including a new 13-inch MacBook Pro and the iPad Mini. Given the site you’re currently reading it’s likely that you were following the event with rapt attention and already knew about all of this. However, obscured by this news is far less pleasant word that Zynga (the people behind Farmville and a number of other suspiciously derivative yet wildly successful casual games) has laid off a huge number of employees. 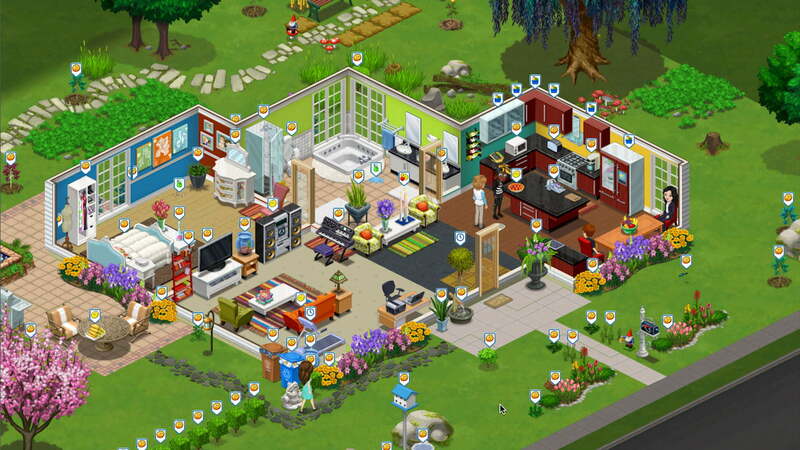 Zynga just laid off 100+ employees (incl. my friends) in its Austin office during the Apple Event. Gave them 2 hours to vacate. RT please. This rumor then sent gaming journalists scurrying for verification and while we’d like to say it was a hoax, the facts say otherwise. According to TechCrunch, Zynga’s Boston office has been completely shuttered, while “there are still about 1/3 of the workers still around the Austin office.” Hit hardest in Austin are the development teams working on The Ville (pictured above) and Zynga Bingo. According to The Verge, the extent of the layoffs is even worse than initially thought: “A second source has confirmed there were layoffs in Austin, Chicago, and Boston today,” The Verge claims. As one might expect, Zynga is being completely silent on the matter. We have attempted to contact the company’s representatives, but have yet to receive a response. Given that the company is no doubt being bombarded with the same questions over and over again by various journalists and has yet to say anything in its own defense, we honestly doubt we’re going to hear anything. Obviously it’s always terrible news when people are laid off, but these particular mass firings weren’t at all unexpected. Zynga has been going through a rough time lately, both because The Ville has been hemorrhaging users like a hemophiliac bullfighter and because EA sued Zynga over the similarities between its SimCity Social and The Ville. Given Zynga’s history of stealing design concepts from popular games, then bullying their creators with legal threats, this is very, very bad news for the company. Most of the firms and people Zynga finds itself in court with don’t really have the finances to defend themselves against Zynga’s lawyers, but EA is one of the biggest gaming publishers in the world. It certainly has the cash and legal resources to combat Zynga and given how much revenue the SimCity franchise has brought in over the years, we doubt EA’s legal team has been instructed to show mercy or compassion. Regardless of how inevitable these layoffs may have been, their timing comes as very suspicious to most observers. We don’t want to attempt to ascribe motivations to the company that haven’t been confirmed, but legions of Internet cynics believe that Zynga timed these layoffs to coincide with the Apple event specifically so that the tech and gaming industry would be focused on new tablets and ultra thin computers instead of the unceremonious fashion in which Zynga dropped a bunch of its employees. Believe that theory or not, it’s entirely up to you, but what is not debatable is that over 100 people now find themselves jobless. Here’s hoping everyone can find new employment quickly.